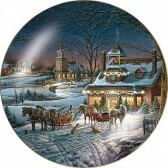 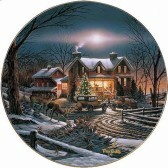 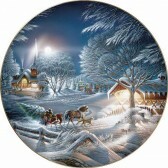 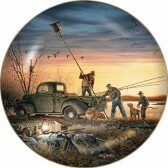 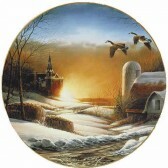 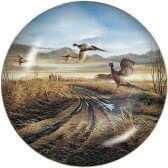 Evening Frost Holiday 2018 plate is beautifully portrayed in fine porcelain and highlighted with a 23K gold rim. 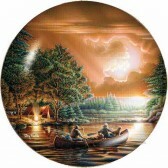 Limited to 45 firing days. 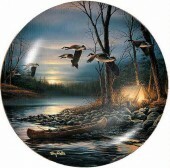 8-1/4" dia.